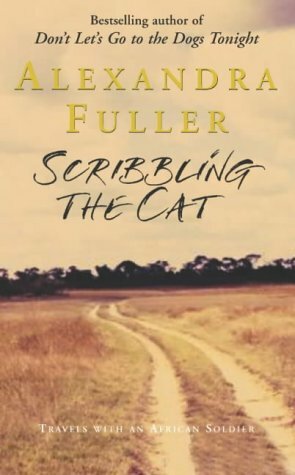 Alexandra Fuller's Scribbling the Cat has all the hallmarks of the second of a two-book deal. The subject is similar, but not identical to the original book that made her name. She appears to have cast about for a suitable subject, and when he comes along, she jumps on him with the force of a hurricane and takes advantage of the fact that he is in love with her to get him to let her write about him. Yes, they are taking advantage of each other. He uses her to boast to, to confess to, to draw some kind of normality from, and she uses him to get her book done. It's not a particularly interesting or enlightening read, and I don't recommend it. The target is fifty, isn't it, so you're well on the way. Anything more than a book a week is a respectable rate. I was hoping for more like 75 this year. Why are you number 38? But the point really isn't the raw numbers, is it? Its about how you spend your time - if you're watching less telly, but you're not reading as much as you'd like because you also have to walk dogs now, you're still coming out ahead, right?